The image shows the E-bot pro camera folded out with a magazine on its base. Behind it can be seen a monitor which it is assumed to be connected to. 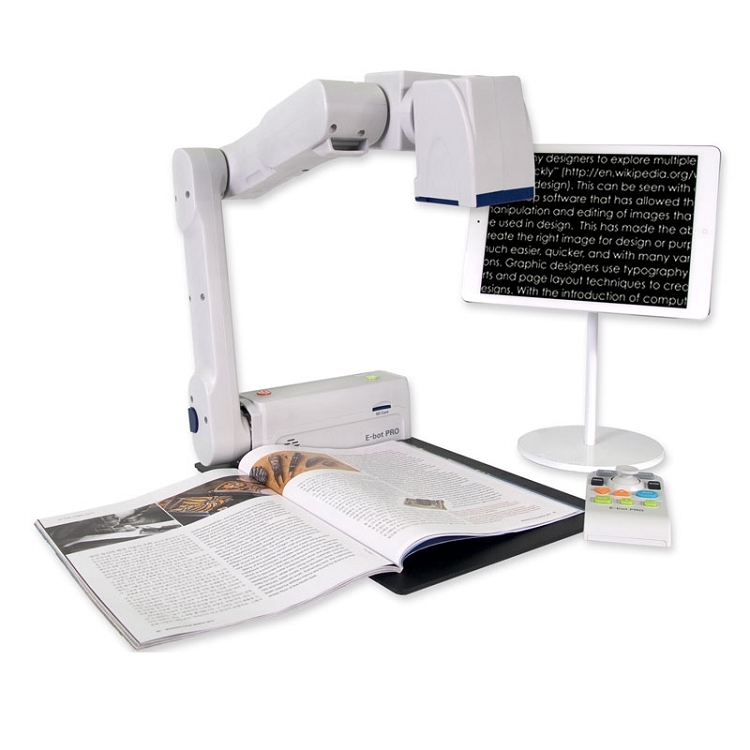 The motorized electronic magnifier you can use with your iPad or Android tablet! Move the camera and adjust magnification using the integrated joystick on the remote control or by using touch-screen gestures on your tablet. OCR and save pages from a textbook, newspaper or magazine. Capture and save as text or image.